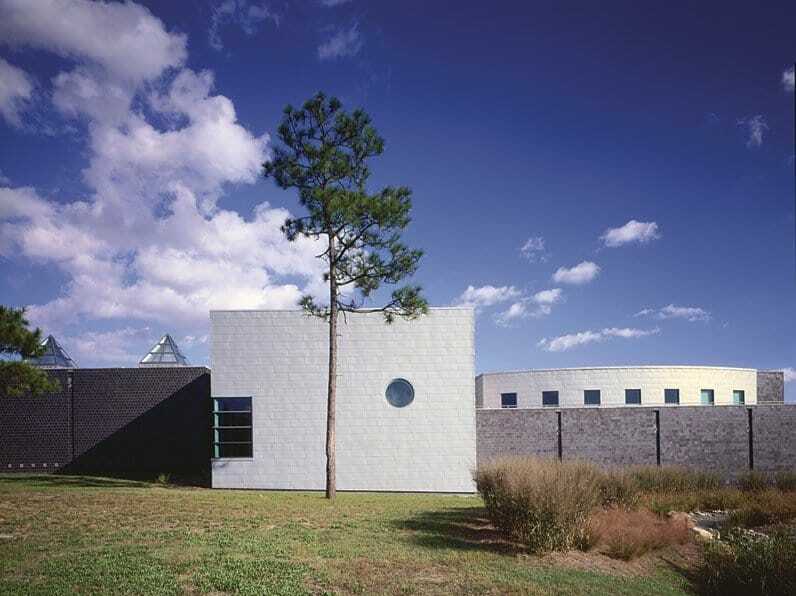 The new 35,000 square foot facility includes exhibition galleries, a multi-purpose auditorium, painting and ceramics studios, an arts research library and an outdoor sculpture court. Support facilities include a museum shop, art storage areas, a cafe, and staff offices. The site is exceptional not only because of its history—with remains of trenches from the Civil War battle in which the Union forces captured the city of Wilmington—but also due to its location at the confluence of two major regional arteries (Independence Boulevard and 17th Street). The building serves as its own “signage” for the entire institution.